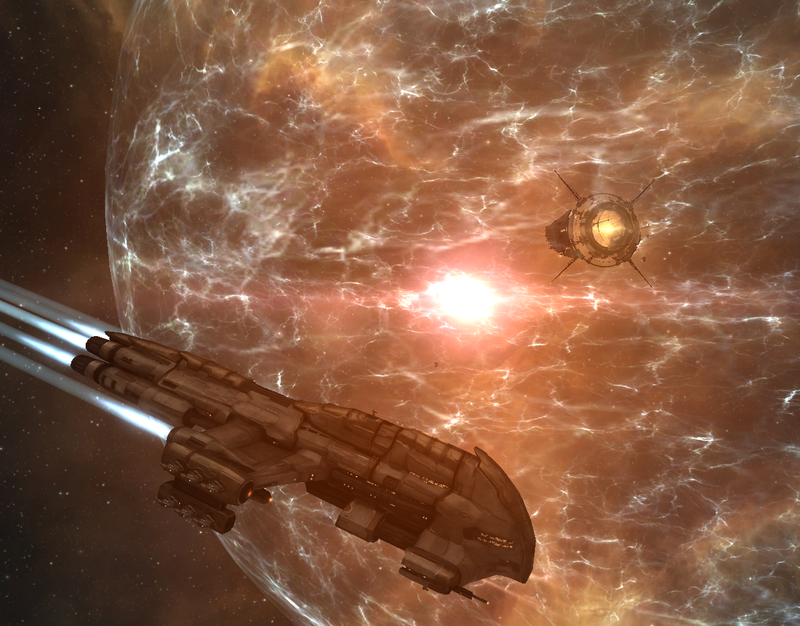 EVE is a beautiful game, and only getting prettier, with new shiny bits and bobs getting added all the time in the free expansions. What’s even more impressive is how low the hardware and connection specifications have needed to be over the years. Even with less reliable connections, unless you’ve been in high traffic systems or engaged in huge fleet actions, you can usually have a reliable experience. This isn’t always going to be the case, but if today’s announcement of a new minimum client hardware specification is anything to go by, we’re not about to get priced out of the game just yet. Just as well – I love being able to play this game as a slow burn on a spare monitor while I write, or while catching up on TV with my laptop beside me. I may not be making Empires quake in their boots, but the quiet satisfaction of finding new corners of this rich game universe does it for me. 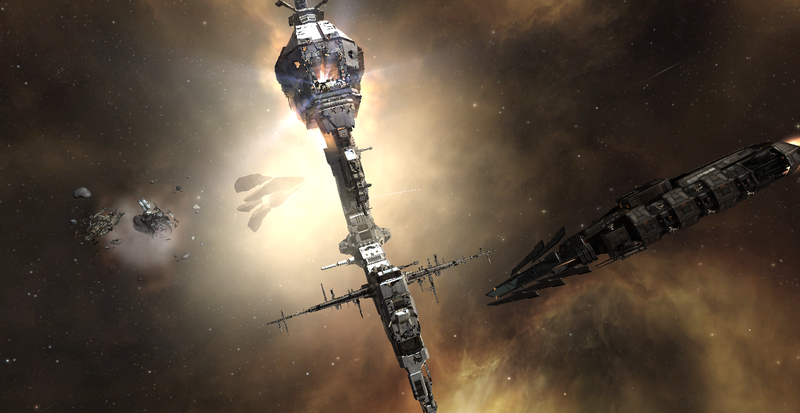 This entry was posted in EVE Online, gaming, images and tagged EVE Online, gaming, Video Games. Bookmark the permalink. Eve has an occupation for every situation: if you’re working, cooking or otherwise distracted and can’t devote all your attention to Eve, you can mine or play the markets. If you are a pimple-faced kid on summer break, or a family man who managed to stay awake longer than the wife and kids and can devote all your attention to Eve, you can pvp or pve to your heart’s content. All the while the sights and sounds are pretty and vibrant.